Over the last few years, I have become an expert on saving money on baby products. I love to make sure that my daughter has everything that she needs plus stuff that we both want. I do not like to spend a ton of money on anything, especially things that will not be used for a long time. 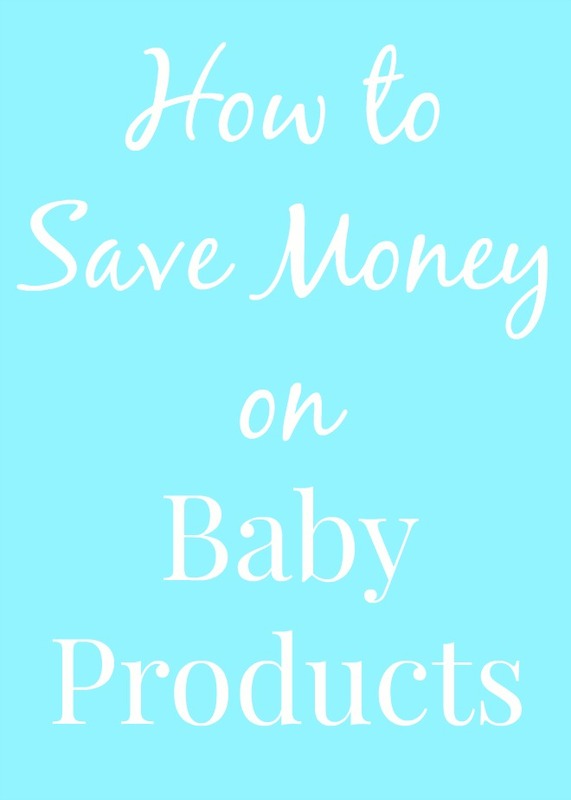 I have learned lots of tips and tricks for saving money on baby products and am excited to share them! This whole outfit which is one of my favorites was only about $2! I love shopping at mom to mom sales so much because I get a ton of great clothes for not a lot of money. I just stocked up for baby #2 with a ton of clothes, most of which were $0.50 or $1 each! This included high quality, barely worn clothing, many which were name brand. You can just search your local area for mom-to-mom sales. My tips: arrive early, bring lots of cash (especially $1 and $5 bills) and bring your own reusable shopping bag. Also, do not be afraid to shop early. I literally bought some size 2T clothes before baby was even born. At the end of each season, you can find some awesome clearances at stores. I have found Christmas pajamas for the following year for $3, name brand shorts for $1, Christmas books for $.70. I never mind putting away items for later if I get a great deal. Target has great clearances year round and whenever I go there, I always check the clearance racks. Most likely, in your area, there is at least one Facebook swap group. What this is is local moms list the items that they no longer need from their kids and you go right to their homes to pick them up. I have done at least 100 of these transactions in the last few years. I have bought larger baby items this way such as a swing, bouncer or high chair. I have bought myself maternity clothes, toddler toys, books and much more. Just search your city and the words "swap group" on Facebook until you find out. Craigslist is another good choice. This was a baby essential but we did not know about it until a month and half after Adalyn was born. No matter what a good deal you get, if you buy something you don't need, it is a waste of money. When doing a baby registry, it is crazy how many baby items it will say you need. Do your research. Ask other seasoned moms what you really need. And if you are unsure about an item, wait until your baby is born and you can always buy the item then. All babies need diapers and they can be so costly! When Adalyn is fully out of diapers, it will save us so much money (but we are also having another baby, so....). We like the Target up and up™ diapers which are affordable and you can often find coupons for. I love the Cartwheel app and always check it before going to Target or when I get there to see if there are any coupons available for the products that I am buying. These diapers are good with preventing leaks and are easy to put on. I remember before Adalyn was born, I bought cases and cases of this brand. They have a breathable outer cover, a quilted absorbent core, a wetness indicator (so helpful when baby is tiny!) and can provide up to 12 hours of leak protection. To try up and up™ diapers for yourself for free, register here for free diapers. This is a sponsored post written by me on behalf of Target up & up™ Diapers.